See our recent projects and find out more about our work! Whether our clients need a spring repaired, cable replaced, or a damaged opener to be fixed, we carry out each project with professionalism. 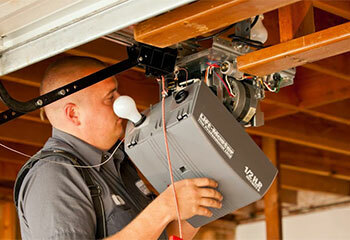 Take a look at some of the great work we can do for you. Our Solution: Our technicians quickly disconnected the broken component and its worn out counterpart so the new units could be fitted. We then carefully attached new galvanized extension springs in their place and adjusted them to make sure they worked smoothly and reliably. Our Solution: We presented the customer with several choices, and she decided to go with the Genie Model 4024 belt-drive opener. 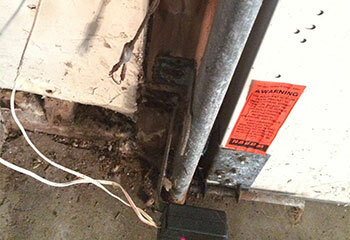 We quickly removed the old opener, and installed the new on in its place. We then made sure that the safety reversal feature was fully functional and that the door moved smoothly and effortlessly. Customer Issue: New door for a new garage. 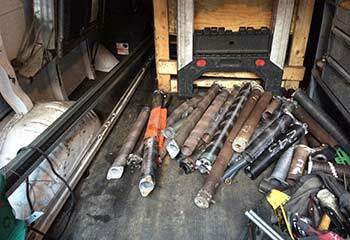 Our Solution: We took the client through our selection of doors. 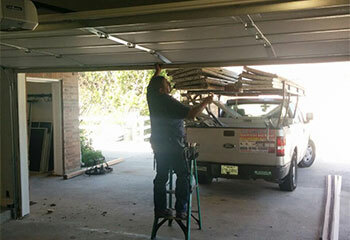 He chose a contemporary aluminum model 511 Overhead Door, which we installed. Customer Issue: The cable had rust on it and had started to fray. 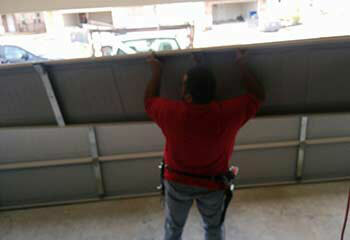 Our Solution: After measuring the garage door, we removed the worn out cable and replaced it with a new one. The door functioned afterward with no issue. Customer Issue: Replace old Genie 450 with one of the latest models. Our Solution: We recommended a Genie QuietLift 800 (2042-TKC). We removed the old unit and installed the new one on the same day.